Pioneers in the use of innovative techniques to improve the quality and competitiveness of our products. Quality and concern for our environment has distinguished Jacoliva from its inception, which is only natural in a family company immersed in a rural environment, the raw material of which is the result of good practices and the conservation of our environment. 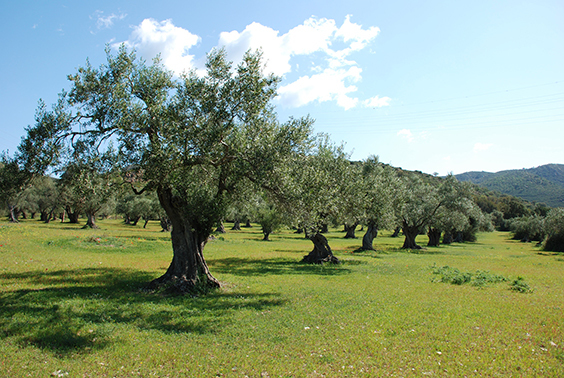 Our Quality and Environment System defines the management and control method for our activity, the production and marketing of extra virgin olive oil, ensuring compliance with all current legal requirements and guidelines, including environmental ones and other necessary conditions that the organisation endorses, including requirements of the ISO-9001:2000 and ISO 14001: 2004. The Commitment of the Management and all the workers of Jacoliva, each member of which takes responsibility for his/her work. Quality is the most important thing to bear in mind in carrying out our work and producing our products, together with food safety. Customer service and collecting opinions and suggestions in order to improve our Quality and Environment Management System. Identifying environmental impact in order to control and reduce it as far as possible, always bearing in mind the idea of prevention before correction. We are constantly improving all company activities and in consequence the effectiveness of our Quality and Environment System. This working method is starting to produce results with respect to the recognition of our products on the market, as is shown by the Prize for the best extra virgin olive oil in the Organic class awarded in 2005 by the Spanish Ministry of Agriculture and the first Prize in the Extremadura Regional Government’s 9th extra virgin olive oil tasting competition, Extremaselección 2006, amongst others. Located in the north of the province of Cáceres, between the Sierra de Gata, las Hurdes, the Valle de Alagón and the Valle del Jerte. Continuous care for our surroundings and the raw material that is the essence of our products. Our evolution partly depends on our commitment to knowledge and the development of our sector and our products..